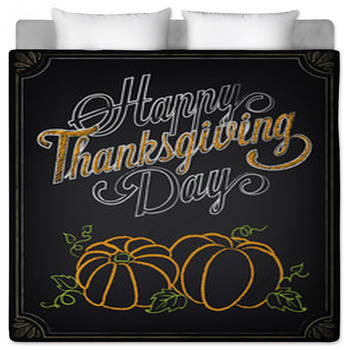 Celebrate the season of gratitude with our beautiful Thanksgiving bedding. 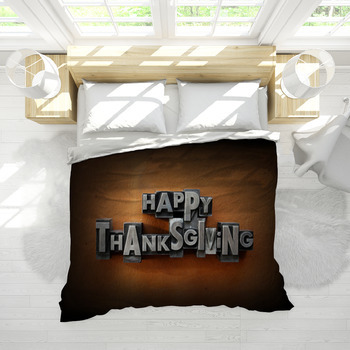 Whether you want a great comforter or futon cover for your guest room bed for the family and friends visiting over the holiday weekend or a cute duvet cover for your child's room, we have a huge selection of Thanksgiving bedding that will get you ready for the holiday. 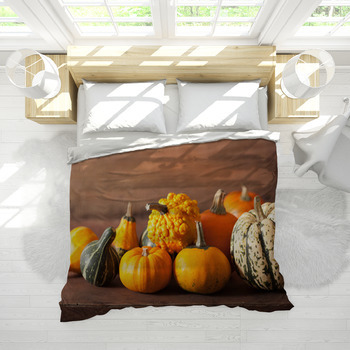 Thanksgiving started as a holiday to give thanks for the bounty of the harvest, and we have stunning bedding to reflect that idea. 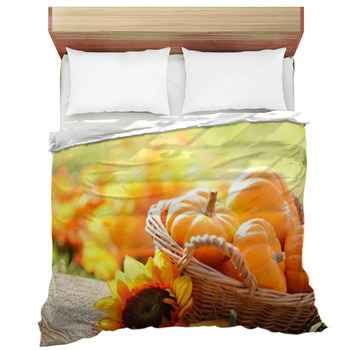 Choose from cornucopias filled with the bounty of harvest, including wheat, pumpkins, apples, melons, squash and more. 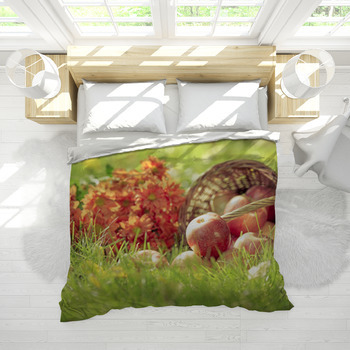 Or choose baskets of freshly harvested fruits and vegetables. 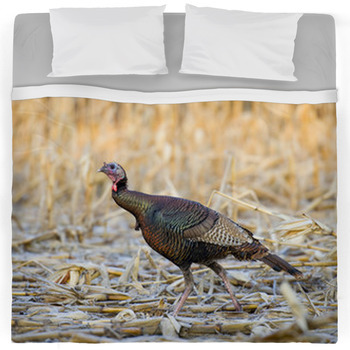 It wouldn't be Thanksgiving without a turkey, and we have bed sheets that would be perfect for a child's room or an adults. 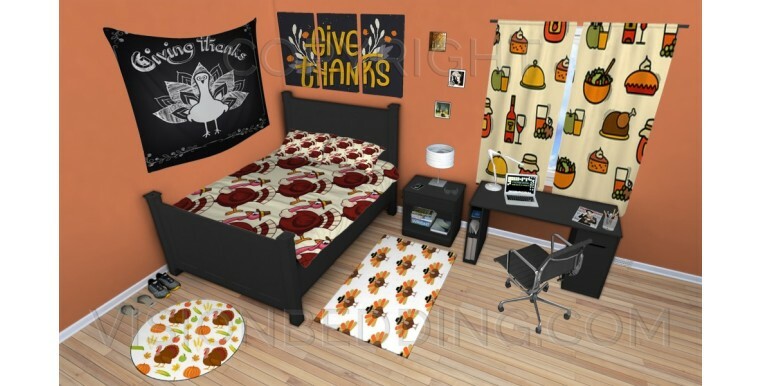 Choose cute cartoon turkeys dressed up like pilgrims for the kids or tom turkeys with full plumage for the adults. 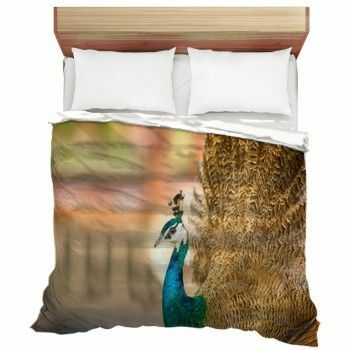 Or, if you prefer your turkey well done, we have bedding that depicts the finished product, ready for carving. 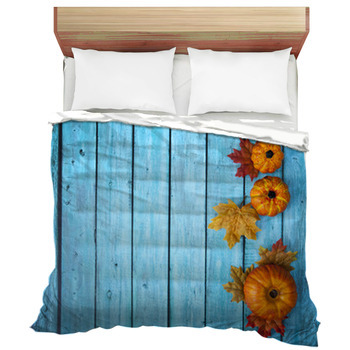 Another great Thanksgiving bedding option is pumpkins and beautiful fall leaves. 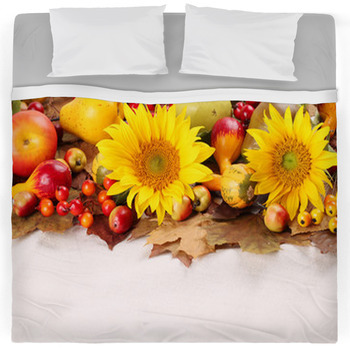 You can even begin using these comforters and duvet covers in October to reflect the season. 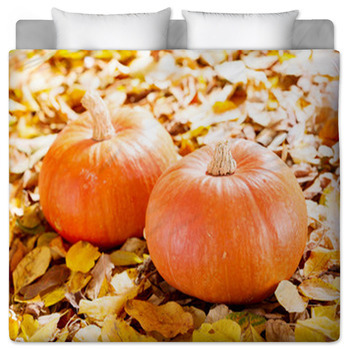 Choose from single pumpkins to panoramas of orange orbs ready for market. 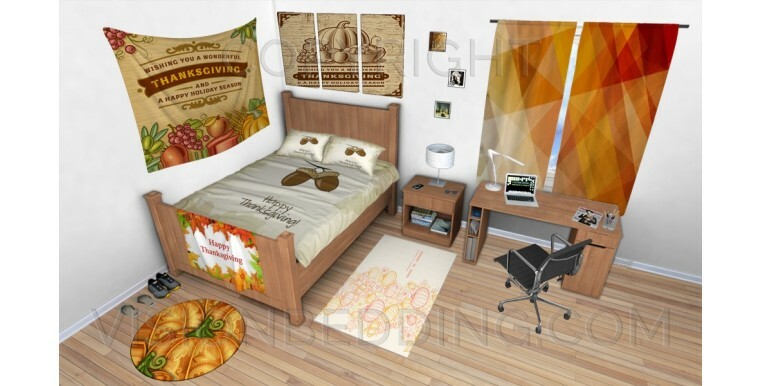 You'll also find bedding featuring beautiful leaves in colorful colors, including russet, gold, red and orange. 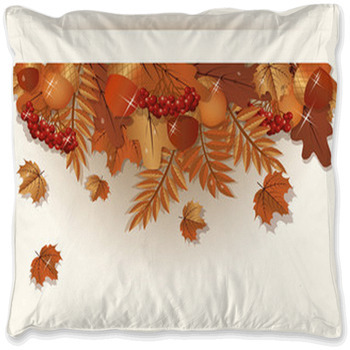 You can deck out your entire home with accessories that reflect those in our Thanksgiving bedding. 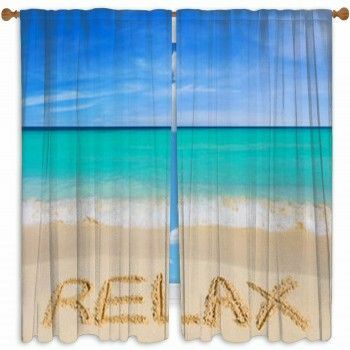 Choose from Thanksgiving pillows, window curtains, blankets, rugs, shower curtains, wall murals, fabric, bath towels, wall art and more.